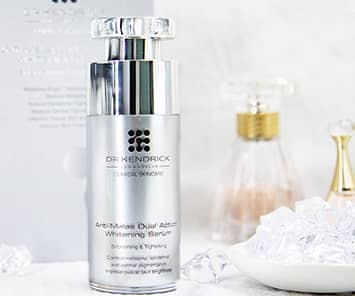 Dr. Kendrick’s LIPID PRESCRIPTION™ is formulated to specifically combat dry and premature aging skin. It strengthens skin’s cell’s natural lipid barrier to lock in moisture and increase collagen production, which resolves issues such as dehydration, oxidization and wrinkles. Instantaneously, skin feels soft and elasticity is restored. It repairs sun damaged cells and increases collagen production. Most of all, it will never leave the skin feeling greasy. Apply twice daily in the morning and night. After cleansing the face, gently apply an appropriate amount on the face.